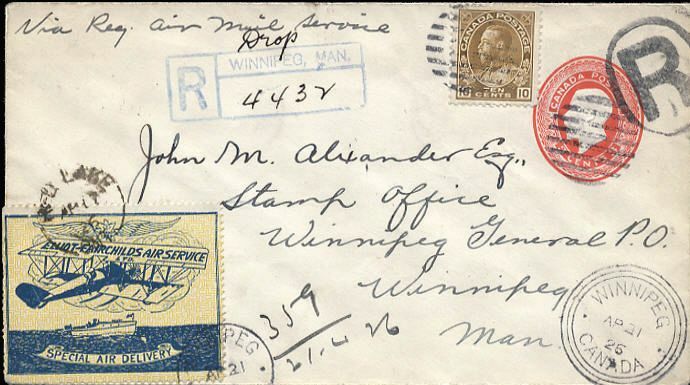 There was a philatelic judge once who called these stamps, “labels,” but he was just plain wrong. 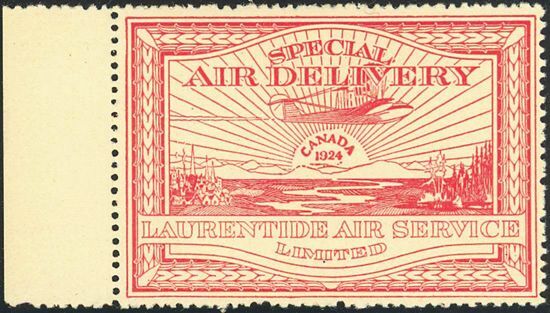 Canada’s unusual semi-offi cial airmail stamps and their uses represents an adventurous era in the Great North Country’s heritage that is virtually unmatched in air philately. 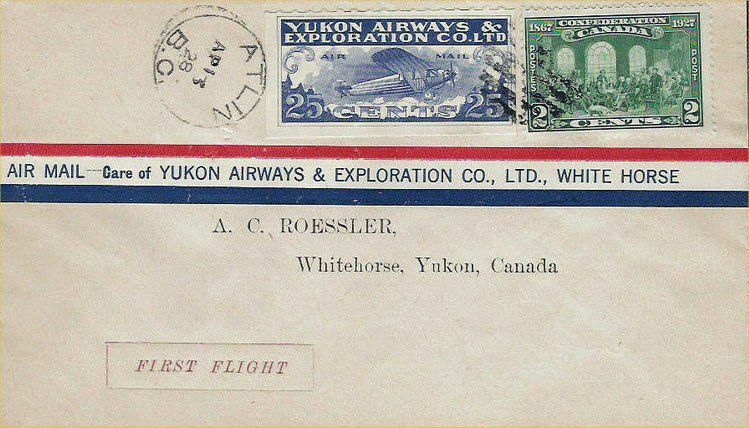 Before the Canadian government took over the administration of airmail fl ights into the pristine wilderness territories in the north of the country’s provinces in the 1930s, the nation’s parliament passed a law enabling private carriers to not only carry the airmails from cities into tiny encampments and remote towns, but they allowed to issue their own stamps! 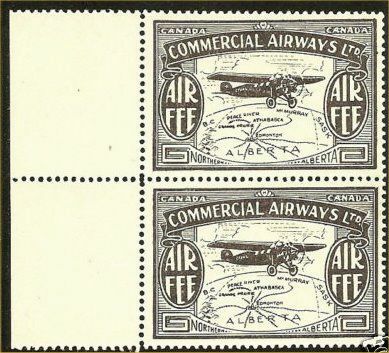 These semi-officials are just like any other stamps—not only good for franking the covers on certain specifi c types of mail, but also full of the kind of printing and production varieties that are the lifeblood of the true philatelist. Best of all, they are full of history and adventure. Planes crashing. Socked-in bad weather. 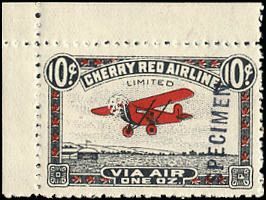 Scarce stamp varieties, fl ights and uses. And there is a sense of that these issues and uses are getting more and more popular all the time!